All of you dads can just go ahead and give up now – this dude wins Father of the Year hands down. Jeff Highsmith built this awesome NASA spaceship for his sons, complete with controls, haptic feedback, and even a working payload bay. With 38 switches and 291 LEDs, the control board looks a lot like what you might expect to see in a real spaceship. 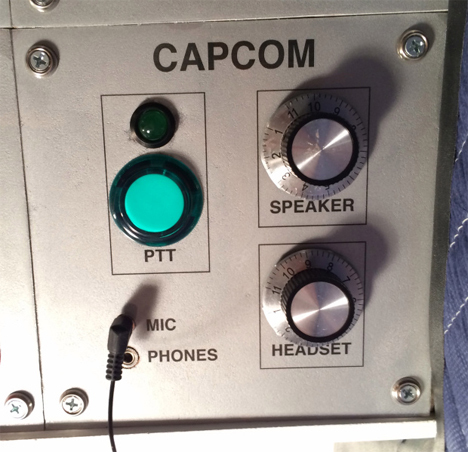 The switches activate sound effects, with some of them replaying audio of scenarios that happened on board Apollo 12 and Apollo 13. Some of the switches activate the rumble effect, which makes the passengers feel like they’re riding in a real spaceship. An intercom system keeps the miniature astronauts in touch with Mission Control. 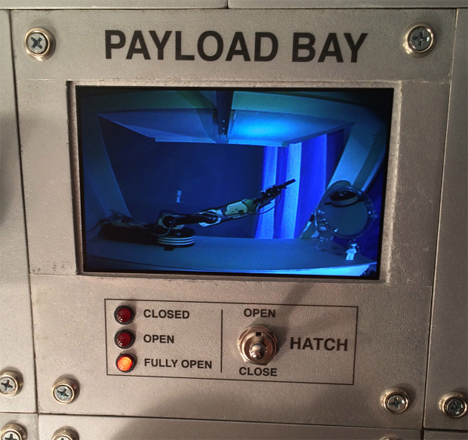 A realistic payload bay lets astronauts “launch” satellites via a remote-controlled robotic arm. A magnet suspended from the ceiling by fishing wire catches the satellites and sends them off into orbit. The robot arm can later retrieve the satellites or other toys and bring them aboard the spacecraft. The level of detail that Highsmith put into this home project is amazing and kind of inspiring. 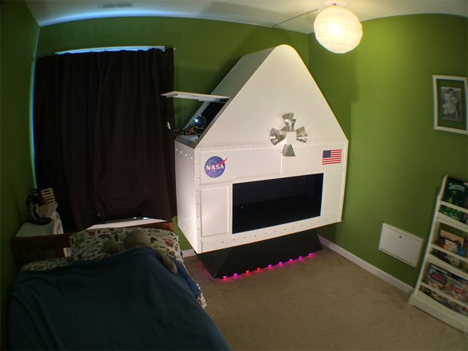 His kids get to experience some crazy realistic space action, and he gets to be the coolest dad ever. See more in Do It Yourself or under Technology. August, 2014.